We brought the beef in 2018, both with our fresh, never frozen* hamburgers and on Twitter. Wendy’s Twitter had one of its craziest years ever in 2017. A tweet about our chicken nuggets became the most retweeted of all time, we got into a rap battle, and we became known for having fun with our competitors. How do you even attempt to top that? We put in the work, had some fun, and somehow managed to up the ante to make 2018 just as awesome. Maybe even a little more awesome. We’ll take you through some of our biggest moments this year, discussing the Twitter magic that helped it all go down. 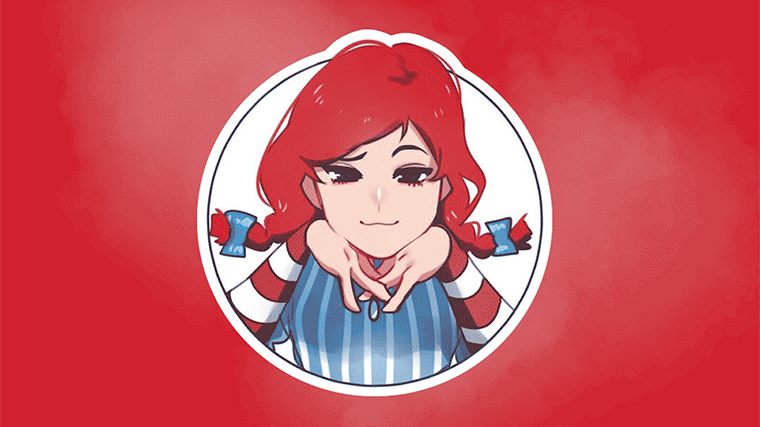 Roll those beautiful Wendy’s burns. Once you get a reputation for roasting, people start asking right and left for you to roast them. While we don’t want to just sit around roasting people every day, we’re inclined to give our followers what they crave. That’s why we rang in the beginning of the year with our own invented holiday, National Roast Day. We got hundreds of requests, sent out hundreds of roasts and had fun with our followers on a personal level. When you invent a holiday, it can’t happen just once though, can it? Guess we’ll see in January. After getting into a rap battle with Wingstop in late 2017, people were all up in our mentions asking us when the mixtape would drop. With so much demand to hear our Twitter voice go at it in real life, we decided we would create the mixtape. We took our roasting off Twitter and dropped it on every major streaming service. If you’re curious about what we had to say, you can check out all the sweet Wendy’s burns in these lyrics: https://genius.com/albums/At-wendys/We-beefin-ep. We knew people wanted to see it happen, but we were still shocked at the response. Now people are asking when the next one drops. Guess we’ll see if they can handle more of this heat in these drive-thrus. After being known as a bit of a “clapback queen,” imagine our surprise when one of our biggest competitors decided it wanted to invite us to prom. Sometimes you find yourself in a situation where you need to maintain your voice and presence, but you can’t come off in the wrong way. If we had said no, it could have come off cold, and because we’re known for that never frozen beef, cold wasn’t an option. So, we said yes in our classic, sassy way, and thankfully people ate it up. Serving fresh, never frozen beef, on every hamburger, every day* is sort of what we’re known for. So, when McDonald’s announced that they were doing the same thing — nearly 50 years later — on only some of its cheeseburgers, we took it upon ourselves to mourn all the poor sandwiches that they left behind in their freezers. Sometimes things happen at the perfect time, allowing attachment to a cultural moment. And McDonald’s announcement just happened to line up with the spread of the meme that all revolved around the snap. We showed just how brutal it was to only go fresh on one type of cheeseburger patty. International House of ... What Now? We’re so passionate about fresh beef, we don’t just take down the fools freezing your beef in real life, we take it seriously everywhere you are. So, when we realized that the cheeseburger restaurant in the World’s most popular battle royale video game, Durrr Burger, had freezers in the kitchen, we decided to do something about it. They were in the middle of their Food Fight event, asking people to choose Team Burgers or Team Pizza. We shocked the world by choosing Team Pizza — because anything is better than frozen beef. We followed up our announcement by hopping onto our first Twitch stream, dropping in Greasy Grove, and taking down Durrr Burger over and over. Thanks for sticking with us, tweeting at us, having fun, roasting each other, dropping Greasy, and celebrating fresh beef and delicious cheeseburgers. We can’t wait to see what happens in 2019, and we hope you’re all still hanging out with us.